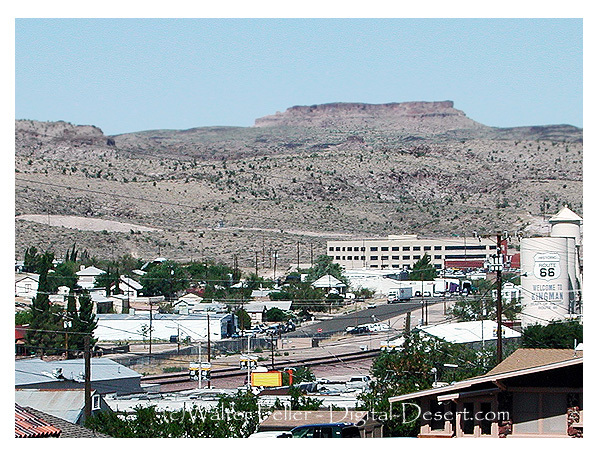 Kingman, Arizona, was founded in 1882, when Arizona was only Arizona Territory. Situated in the Hualapai Valley between the Cerbat and Hualapai mountain ranges, Kingman is known for its very modest beginnings as a simple railroad siding near Beale’s Springs in the Middleton Section along the newly-constructed route of the Atlantic and Pacific Railroad. The city of Kingman was named for Lewis Kingman, who surveyed along the Atlantic and Pacific Railroad's right-of-way between Needles, Ca., and Albuquerque, N.M. Lewis Kingman supervised the building of the railroad from Winslow, Ariz. to Beale's Springs, which is near the present location of the town of Kingman.